MattyCollectors Facebook Page has been updated with the newest Masters of the Universe Classics figure. 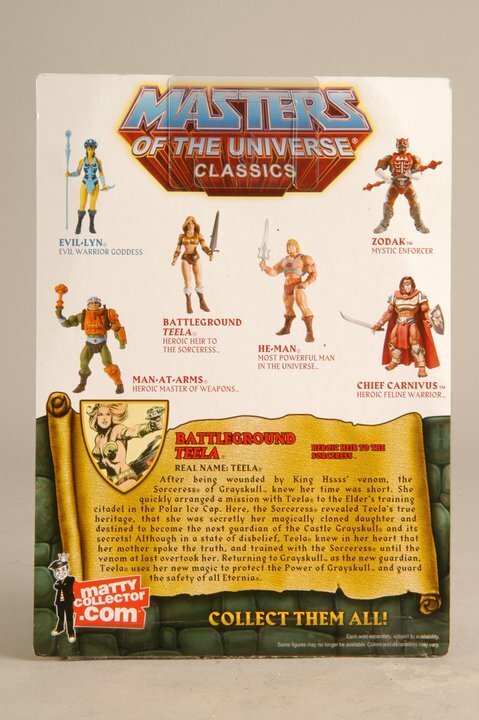 They have revealed Battleground Teela in package, as well as her bio. Click the headline of the story for the photos. Let us know what you think of the new figure, as well as the newly revealed bio by joining in on the discussion. Haha, I thought that too. I was trying to think of a clever way to fit that into the news post, but it just didn't seem right, lol. maybe followed by a dry "har har.."? That bust is amazing and it's going to be my entry into the collection. Although I am looking at getting Colossus too. Angel looks fantastic. I'm diggin on the Bucky Cap too. Nice.